Mad dogs biting the hand that feeds them….. The skys in Israel will light up at sundown on Saturday as the Hebrew Festival of Lag B’Omer begins. Bonfires are a tradition during this holiday…. 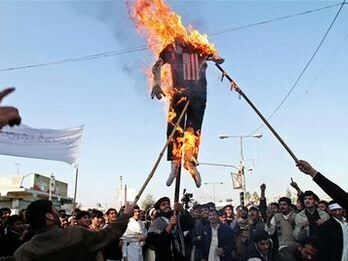 burning effigies of enemies is part of the tradition. CREATING enemies is NOT a part of it as will be done by the actual enemies of the Jewish people themselves, followers of Kahane. Almost 20 years after the death of this vile creature, his venom still flows in the veins of the extreme right wingers. A venom that will one day consume them the same way it consumed the beast himself. But, until that happens, here are their plans to once again ruin what could be a fun holiday…. 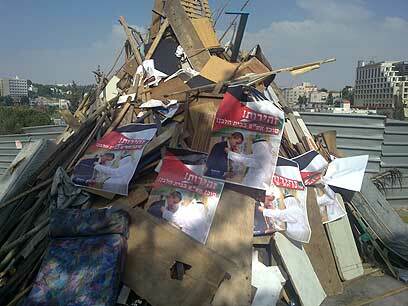 Right-wing activists residing in Jerusalem’s Shmuel HaNavi neighborhood threw posters bearing the image of US President Barack Obama into dozens of piles of wood and other flammable materials they intend to burn as part of the Lag B’Omer celebrations. The activists prepared the heaps on Thursday so as not to desecrate the Sabbath. 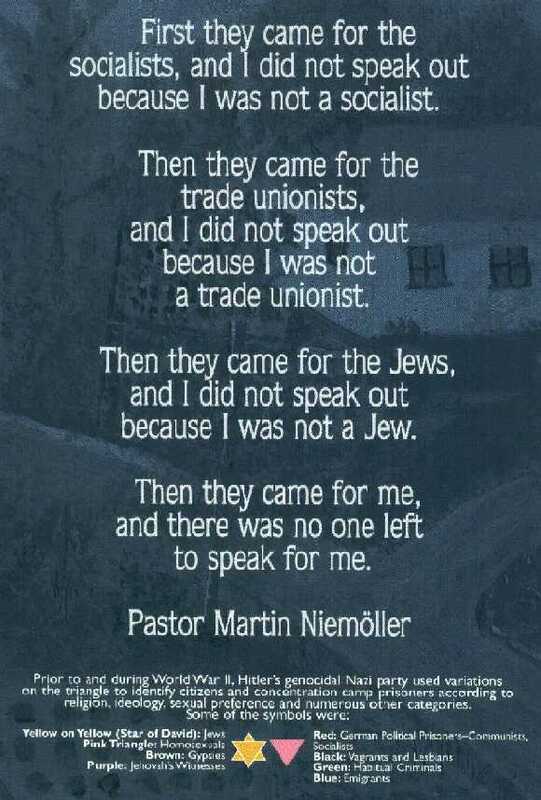 Repeating a familiar line from the Passover Haggadah, Federman said, “In every generation someone rises up to destroy us. “Prime Minister Benjamin Netanyahu must realize that Obama is an enemy, not a friend,” he said. Remember the racism found in the streets of Jerusalem? Do you also remember the video that was banned by YouTube? If you missed it you can still see it HERE, thanks to Michael Rivero. Now you can Feel the hate in New York….. watch it before YouTube bans it as well. Over 1000 New York-area Jewish extremists gathered in midtown Manhattan to rally against the Barack Obama administration’s call for a freeze on construction in occupied East Jerusalem and to demand unlimited rights to colonize the West Bank. 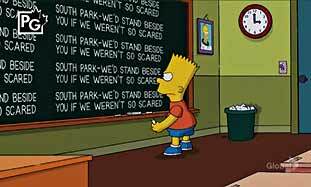 Here you can see 7 Reasons NOT to Support Israel…..
NEW YORK – The writers of The Simpsons have come to the defense of two South Park writers who received a threat from a Muslim group over their recent depiction of the prophet Muhammad. Stewart linked the Muslim group, Revolution Muslim, to Osama bin Laden and 9/11. And he noted that the New York-based radical group enjoyed the parks, entertainment and Jewish delis for which New York City is known. The South Park episode in question, the show’s 200th, broadcast earlier this month, takes on the Islamic prohibition of depicting the prophet Muhammad, and introduced the prophet dressed in a bear suit. It also lampooned Buddhism and Jesus. Following the episode’s broadcast, Revolution Muslim posted an Internet “warning” to the show’s writers, Matt Stone and Trey Parker, predicting that they could find themselves in the same position as a slain Dutch documentary filmmaker, Theo Van Gogh, whose film accused Islam of condoning violence against women. The article’s author, Abu Talhah al-Amrikee, said the writers had “outright insulted” Muhammad, in a post first reported by CNN. Amrikee told The Associated Press that his posting was meant to raise awareness and prevent it from happening again. “They should feel threatened by what they did,” he said. Though he said that “I could shoulder some blame” for any danger to the writers, Amrikee praised bin Laden. “We look up to him and admire him for the sacrifices he has given for the religion,” he said. Comedy Central, which airs South Park in the US, censored episodes that followed the controversial 200th show. The storyline for episode 201 includes Muhammad, but censors his name. Parker and Stone, in a statement, said the decision was the network’s, not theirs. They promised to be back next week with a whole new show on a different topic. “We’ll see what happens to it,” they said. The site included a link with details about a Colorado home that Parker and Stone own. Dutch film director, film producer, columnist, author and actor Van Gogh was murdered in Amsterdam by Muhammad Bouyeri, a Dutch-Moroccan Muslim, in 2004 after producing Submission, a movie accusing Islam of condoning violence against women. Revolution Muslim head Younus Abdullah Muhammad, 30, defended the posting in an interview with Reuters. … Palestine is officially part of Israel !! Special US envoy George Mitchell has visited the area, armed with a special letter from President Barack Obama to the Palestinian president reiterating what seems to have been a US-Israel understanding that the proximity talks will take place soon. Until now Israel, which has been preventing the realisation of a Palestinian state, has given attention to symbolic issues. Why, Israeli propagandists asked, do Palestinians refuse to recognise Israel in the various images, maps and publications that they espouse? Why is their no demarcation showing the green line that separates the West Bank from Gaza? Why do maps of the areas west of the Jordan River never mention Israeli towns, such as Tel Aviv, while highlighting the nearby Jaffa? Why even when the West Bank is marked on the maps, the word Israel is not printed on the Israeli territory? Palestinians have often responded by asking what the borders of Israel are. Do they include or exclude Jerusalem? Do the Israelis in fact accept Palestinian statehood at the same time that they are asking Palestinians for recognition of Israel? Yet despite the rhetoric, Palestinians quietly made the shift and followed the advice of their international friends to make changes on maps and especially in textbooks. Since 1994, the Palestinian Authority had been replacing older textbooks and in 1999 and 2000, Nathan Brown, professor of political science at George Washington University, published a study on this subject. Despite these changes, the issue has continued to haunt Palestinians internationally. Almost all attacks can be traced back to “the work of a single organisation, the ‘Centre for Monitoring the Impact of Peace’,” which Natan Browns insists, relies “on misleading and tendentious reports to support their claim of incitement”. In 2001, Armin Laschet, a member of the German delegation to the European Union Parliament, threatened to halt EU funding of Palestinian educational institutions “…until all the Palestinian textbook passages antagonistic to Israel are removed”. In 2002, the United States Congress requested the United States Department of State to commission a reputable non-governmental organisation to conduct a review of the new Palestinian curriculum. While the above should put an end to the continuous baseless accusations, few have asked the obvious: what the Israeli position towards Palestinians is and whether Israeli maps demarcate Palestinian territories. While many might say that this is a symbolic issue, there is no doubt that this particular symbolism runs counter to the two-state solution, which has been declared a strategic national interest of the United States and which the prime minister of Israel has publicly said he supported. So while negotiations will soon begin, how about the international community making the simple request that Israel end ignoring Palestinians and Palestine, at least on the maps it officially produces? 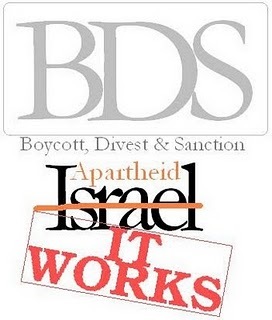 There were many BDS victories recently and it is hard to keep up. But a notable acceleration of the cultural boycott is inevitable now that both Gil Scott Heron and Carlos Santana have canceled their appearances in Israel. The deputy of the Israeli ambassador in London was also reminded of the state’s apartheid policies and had to escape from the challenge with help of British police agents. Hundreds of such inspiring actions occur every day thanks to hundreds of thousands of people who act (silence is complicity and action is an antidote to despair). But we still have to work on our divisions/divided society and be proud of our accomplishments historically and do more…. Talya Lador-Fresher, Israel’s deputy chief of mission at the Israeli embassy in London, had to be shuffled out a side door and into a “get-away” car by Manchester police on Wednesday, following a lecture she gave at the University of Manchester that was crashed by pro-Palestinian student protesters. The lecture, on the situation in the Middle East, which was originally supposed to take place months ago, was delayed because of early security concerns at the university – but went ahead Wednesday after university officials promised Ambassador Ron Prosor that his deputy’s security would be guaranteed. And indeed, Lador-Fresher managed to give her talk, although she was interrupted several times by students who hoisted Palestinian flags and called out anti-Israel slogans. But when she had finished speaking and was trying to head out of the auditorium, it became clear to her security that the way out was blocked by more demonstrators who had been waiting there throughout the hour-long event. The demonstrators had identified the Israeli embassy car and were surrounding it. As such, it was decided by embassy security, together with the Manchester police, to evacuate her through a side door and drive her off campus in a police car. As she was leaving the area, demonstrators attacked the car, in an attempt, she says, to try and break the windshield. Lador-Fresher stressed that it was indeed an “unpleasant” experience which goes to highlight the decreasing lack of civility on campuses in Britain when it comes to Israel. Ambassador Prosor, in turn, commended his deputy on “her fighting spirit” and said he expected a condemnation of such behavior from the university. HOW OBAMA GETS AWAY WITH IT ALL…. ‘Shoot ’em out’ Spaghetti Westerns. The ‘players were foreigners in the films, the players are foreigners, for the most part, in the news. Foreigners living in illegal settlements in the illegally Occupied West Bank. Foreigners that have made the lives of the Palestinians there most unbearable. Yet, they go unpunished. But how can we expect anything different in a country that is run by criminals as well? I am reminded of an incident that happened about 25 years ago…. Kahane who was then the fuhrer of the infamous Kach Party booked a hall for their annual convention in Jerusalem. The hall was owned and managed by the Jewish Agency in Israel. I wrote a letter to the Jerusalem Post (which they published) stating that it was wrong for the Jewish Agency to rent premises to a group that was declared illegal by the State of Israel. I went as far as to say that Kahane himself, who was declared to be a criminal by the State should be deported back to the United States where he came from…. …. For weeks afterwards, letters to the Editor poured in accusing me of advocating McCarthyite tactics in calling for that deportation. At the risk of being accused of that again, I again call for deportations. This time from the West Bank of the illegal Settlers. The new Military Order of the State is the perfect tool under which these inglorious bastards can finally become history. It is not the Palestinians that are the ‘infiltrators’, it is the settlers. 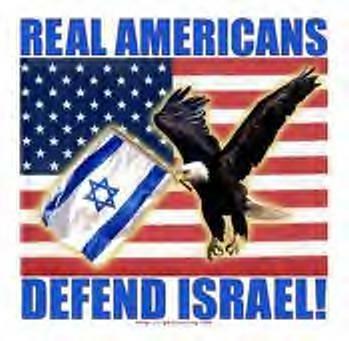 Here are just a few examples of the illegal activities going on, both by the settlers and the military….. and the temporary or non actions taken to stop them…. It’s time for some permanent action…. It’s time to end the occupation! 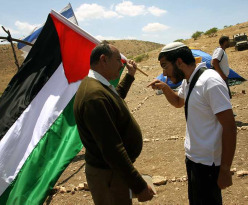 A settler arguing with a Palestinian in the West Bank. Israel Police raided the West Bank settlement of Yitzhar early Thursday morning, arresting seven residents suspected of involvement in “price-tag” attacks on Palestinians. Senior settlement officials were among the detainees, who were eventually released. Extreme right-wing activist Baruch Marzel issued a statement in response to the arrests, saying that the Israel Defense Forces were “out to get” the settlers. Israeli officers held responsible for the deaths of four Palestinians in the West Bank received only minor reprimands after an internal investigation concluded that the deaths could have been avoided. Chief of Staff Gabi Ashkenazi, Israel’s military chief, admitted that the incidents last month “could have ended differently” and could have “avoided causing harm to civilians”. The two fatal shooting incidents, just 24 hours apart, marked the most serious escalation of tensions in the occupied West Bank in months, and threatened to destroy the fragile calm that has persisted there in recent years. The U.S. GIVES Israel over 3 BILLION DOLLARS a year in aid. The U.S. turns a blind eye on every atrocity committed by Israel. The U.S. vetos every UN Resolution condemning Israel. 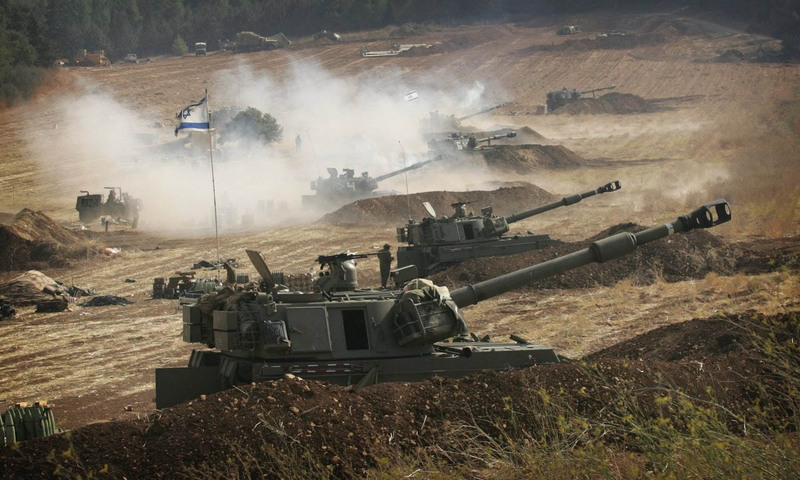 The U.S. supplies Israel with the arms used to commit the genocide against the Palestinian people. ADL director joins list of top US Jews speaking out against Obama’s Israel policies. 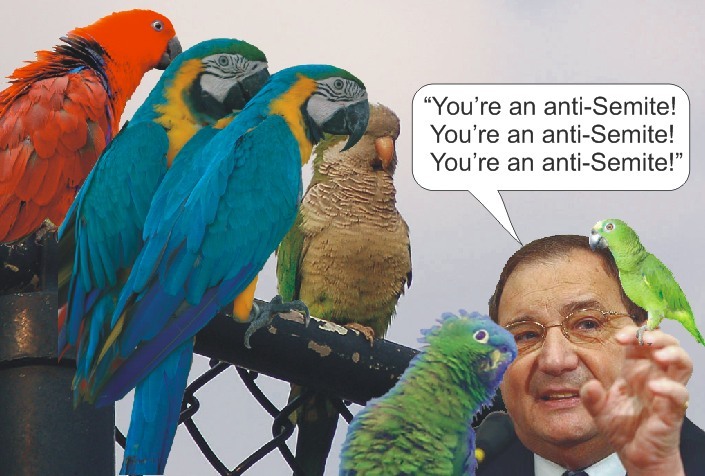 The Anti-Defamation League’s National Director Abe Foxman over the weekend joined the growing tide of American Jewish leaders criticizing US President Barack Obama’s policy toward Israel. Foxman was far from alone in his criticism. Late last week, World Jewish Congress Chairman Ronald Lauder penned an open letter to Obama, published in a number of major newspapers including The Jerusalem Post, in which he, too, called on Obama to reassess his administration’s policy regarding Israel. Vineyard in Beit Ummar village, flooded with sewage from nearby Israeli settlement. BEIT UMMAR, West Bank, – Residents of this Palestinian village refuse to buy the idea that the flood of raw sewage from the adjacent Israeli settlement of Kfar Etzion, that destroyed vineyards and contaminated their drinking water, was an accident. The Israeli Civil Administration, which administers the occupied West Bank, claims the spillage was the result of an accidental power malfunction which caused excess settlement sewage to overflow onto Palestinian land. “This was no mistake,” says a British activist who has been documenting life in the village for several months. “The pipe was deliberately unscrewed by hand so that the sewage would spill over into Beit Ummar. That has nothing to do with an electricity cut,” he told IPS. Villagers standing near a completely destroyed 70,000 sq m vineyard belonging to the Sabarneh family said they believe it was a deliberate act of sabotage and part of a concerted campaign by the settlers to harass their Palestinian neighbours and vandalise their property. Beit Ummar has been the target of a number of Israeli military raids at night last month. Activists who have been organising non-violent protests against the expropriation of their land for the settlements have been arrested and the village blockaded. In a similar incident last week the Palestinian village of Bruqin, in the northern West Bank, was flooded with sewage from the nearby Ariel settlement, causing contamination of underground water and springs and damaging crops. These incidents are part of a larger problem of scarce water resources where a Palestinian population of 2.5 million survives on 17 percent of the West Bank’s main underground aquifer. The remaining water is channelled towards the West Bank’s (including East Jerusalem) 500,000 Israeli settlers, and into Israel proper. The water shortage is compounded by the lack of wastewater treatment plants and inefficient treatment of waste and sewage in the Palestinian territory which fouls its water sources. Israeli rights group B’tselem released a study last year called ‘Foul Play: Neglect of wastewater treatment in the West Bank’. According to the organisation, more than 90 percent of Palestinian wastewater is not treated while only 20 percent of Palestinian homes, primarily in towns and cities, are connected to sewerage systems. Furthermore, only 81 of 121 illegal Israeli settlements are connected to wastewater treatment facilities. Over half of the settlements’ treatment plants are too small to treat waste effectively and are ill-equipped to handle the burgeoning settler population. The result is continual technical breakdowns and sewage overflow. Most of the settlements are situated on ridges and hilltops so sewage flows down towards the Palestinian villages and towns in the valleys below, contaminating their drinking water supplies and destroying their crops. The Israeli settlers are not affected by this as they are connected to Israel’s water supply. The planning and building authorities in the settlements and Israeli industrial areas also ignore Jordanian building and planning laws which govern how wastewater is to be treated in the West Bank. The B’tselem report further outlines the neglect of the territory’s water treatment plants by the Israeli Civil Administration during the decades of occupation and the current difficulties faced by Palestinian Authority (PA) water officials in trying to build new wastewater treatment plants or repair the old ones. There is currently only one wastewater treatment plant operating in the West Bank in Ramallah. Three others have ceased to function and the PA has been unable to repair them or build new ones. 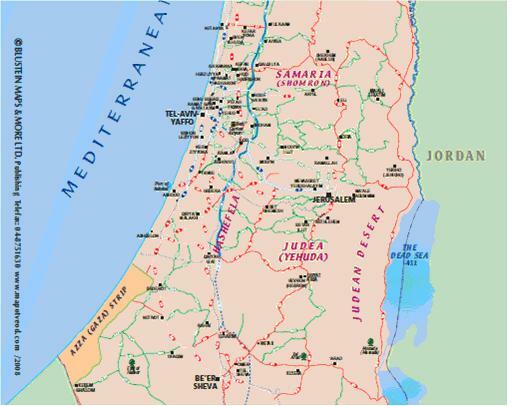 The West Bank is divided into Area A, which is under Palestinian control, Area B under joint Palestinian and Israeli control, and Area C which is under full Israeli control. Area C comprises 60 percent of the West Bank. Areas A and B are mostly built up with little free land available. However, in order to move around or build new wastewater treatment plants in Area C Palestinian officials from the PA Environment Authority require building permits from the Israeli Civil Administration. B’tselem and PA officials complain of the delays these officials face in getting building approval if they get them at all. “There is an enormous amount of red tape and bureaucracy that Palestinian officials have to overcome before they get the permits,” says Eyal Hareuveni, the author of the B’tselem report. “The Israeli Civil Administration says that the Palestinians don’t provide the necessary detailed building plans as they have been instructed but I think the administration is being deliberately difficult,” Hareuveni told IPS. Issa Moussa from the PA’s Environmental Authority denied that the PA provided insufficient details. Other difficulties facing the more efficient handling of wastewater are the restrictions placed on Palestinian movement in the West Bank by the Israeli military. This has led to increased costs for donors who support wastewater projects and who in turn have cut down on their expenditure. A Joint Water Committee between Israel and the PA was established following the Oslo Peace Accord of 1993, to address water issues. One of the disputes between the sides is the Israeli insistence that settlement sewage be connected to future Palestinian wastewater treatment plants. The Palestinians reject this as this implies that the settlements are permanent and say their refusal to approve this condition is one of the reasons for approval being withheld on the construction of wastewater plants. With no higher authority to settle the disagreement the situation will only worsen in the future. “Neither side seems to be making the urgent issue of water and waste treatment a priority,” Hareuveni told IPS. THE ‘TRUTH’ ABOUT PALESTINE …..
Shimon Peres….. a man that has been politically active for the past 66 years…. a man that started out as a ‘leftwinger’ and wound up sitting next to his fellow war criminal, Ariel Sharon, as his new political partner…. 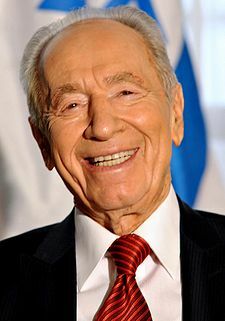 A man that has sold out every ideal of human decency to get where he is today, his first elected position in all those years, the President of the State of Israel. The infamous smile of still another Nobel Peace Prize recipient…. Comments Off on THE ‘TRUTH’ ABOUT PALESTINE ….. In news, Israeli soldiers were “reprimanded” for cold-blooded murder of 4 young Palestinians. I guess they would have been jailed for a few days if they first tortured the Palestinians before shooting them. And the repression continues but also the heroic action of a few dedicated, decent souls to resist. Action needed in the next 24 hours: After the success with divestment resolution passed at University of New Hampshire, we need to support divestment resolutions at UC San Diego (and UC Berkely) AND Please sign a petition here in support of the new UC San Diego bill: Please send your letters of support to UCSD’s student senators, contact info here. When I was young, I was taught that the purpose of religion was to foster compassion through lovingkindness, to seek peace by example, to perform with human hands the work of angels. Then I moved to the Holy Land. If ever the history of religion were written in blood, it was here. If ever religion has drowned history in blood, this is the venue. If ever the sword has beaten the plowshare, whether brandished along with the Old Testament, the New, or the Koran – we can show you the spot. And, more recently, if ever religion has succeeded in keeping peace, reconciliation, even the United Nations and the United States, at bay, ours is the place and time. So it should have come as no surprise, I suppose, that a cluster of people here, people who cloak themselves in the garb of the pious, have decided to marry their furious loathing of Barack Obama to the custom of their faith, and to do what some in America have been doing for more than a year now: Hating Barack Obama as a new form of religious observance. Once, on the holiday of Lag B’Omer, which falls this Saturday night, children cast into bonfires images of Adolf Hitler and others who have preached and in some cases practiced the mass killing of Jews. This year, ahead of the Saturday night observance, professed followers of Meir Kahane have openly boasted of preparing effigies of the American president for distribution and incineration in bonfires across the country. 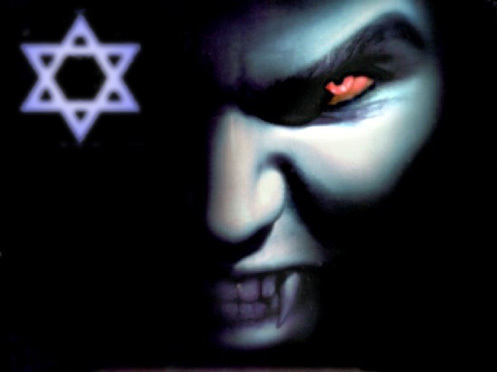 “There is no doubt that now the enemy of the Jewish people is Barack Hussein Obama,” said pro-Kahane activist Noam Federman, a leader of the campaign. These are not the rational people who oppose, take issue and disagree with Obama over his policies, his views, his performance. Not at all. These are the people who execrate the man, who despise him with every cell of their being, whose rage at his very name roars like napalm. These are people who speak in a new spiritual language, that of ritual terrorism. The irrational, some might say, rapturous hatred of Obama is not new, of course. Nor are the sulphur and the poison which inform Obama’s revilers in the pro-Israel hard right. Until now, though, many in the Obama-hate movement have confined their religious revivals to the relative privacy and safety of the Mother Church of All Satans, the internet. The Kahanists, the dedicated Luddites of Zionism, have little use for discretion. They take their obscenity public at every opportunity. This one, however, is, even for them, a whole new level of low. Part of it is the imagery. Fire is to the Jewish imagination what rope is to the African-American. But that is only part of it. Because, wherever it is – whether the issue is health care, student loans, immigration policy or settling East Jerusalem – when taken to the extreme, the religion of reviling Obama is, at its core, the sacrament of hatred. For that reason, it matters little that extremists can practice co-existence in hating Obama’s guts, whether they may see themselves as God-fearing Jews or God-fearing anti-Semites. What has Barack Obama done to the Kahanists, or, for that matter, to Israel and the Jews as a whole? He has endorsed a two-state solution – something which George Bush also did. Obama has pushed for a settlement freeze [Bush’s road map, Phase One, includes the clause: “Israel also freezes all settlement activity”]. And, in a precedent which somehow also managed to draw the ire of Obama-haters, he has held Passover seders at the White House, which neither Bush nor any other president ever had. What the Kahanists are saying, in effect, is that there is no longer any difference between the Occupation on one hand, and Judaism on the other. In that sense, one may reasonably view the pro-Kahane camp as among the worst anti-Semites of all. “That Hussein Obama who wants to freeze construction in Jerusalem every minute, he would even like to just freeze Israel over. He pretends to be a friend but actually he loves Islam. He is an anti-Semite, nothing less,” Kahane disciple and effigy maker Bentzy Gobstein told Israel Army Radio last Thursday. “We want to educate children while they are small,” Gobstein continued. “When you burn it, have a Lag B’Omer bonfire with children – education begins with children. What is it in the hearts of these people, who call themselves religious, whom the love or the fear of God should have filled with an openness toward humankind, that makes them hate this man with such fury? They call him every manner of names – Communist, Muslim, racist, Jew-hater. They call him all manner of names, and he is none of these. Curious, isn’t it, that they never mention what he actually is. Which is, for many of them, enough reason to revile him, all by itself: Black. So, just where are they? Also see THIS post that was written yesterday. The Hamas government in Gaza announced Thursday is will receive West Bank deportees in a tent erected at the Erez crossing, but they will not allow the expelled Palestinians into Gaza, Ma’an News Agency reports. While being housed in the tent, international rights group say the deported Palestinians will be able to move in the West Bank, which would be nearly impossible if they physically cross into the Gaza Strip. Haniyeh insists they will be able to force a reversal of the Israeli ID law by making it impossible to completely expel Palestinians to Gaza. Haniyeh also says this move is not an attempt to keep anyone out of a part of the Palestinian territories but rather a protest of a law that would dictate where Palestinians are allowed to live in the OPT. The ID law in question gives Israeli officers and officials the authority to deport any Palestinians without a West Bank ID or without an ID at all. Two Palestinians have come in contact with the ID law already: Ahmed Sabah was deported to Gaza upon release from prison this week. 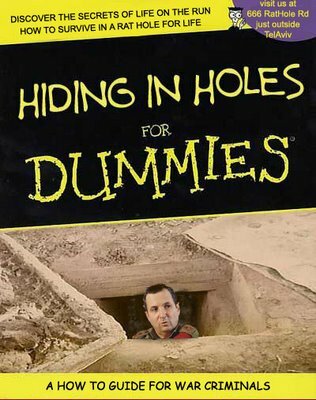 He is currently residing in the Hamas tent at Erez crossing. The second man, Saber Albayari, was deported after seeking medical treatment in Israel near his home in Yaffa. Ma’an says the Albayari deportation decision was later reversed for unknown reasons. Did you hear the one about the Jewish guy that sells ties in the desert? In the past few days it has become the most popular joke throughout the world thanks to the likes of Abe Foxman. ALL of the above is OK in his book… but a joke that just happened to have a Jew in it as a key player is cause for alarm. If the merchant was a Greek or an Italian it would be overlooked….. but a Jew???? OY VEY!! That’s anti-Semitism! National Security Adviser James L. Jones doesn’t necessarily come across as the amusing guy at policy events. Rather, the veteran general is known for his measured and careful wording, and his somewhat monotonic delivery. Maybe that is why some were surprised when Jones decided to open his remarks at the 25-year anniversary gala of the Washington Institute for Near East Policy with a joke. Not just any joke — a Jewish joke that some say was in poor taste. The joke drew a wave of laughs and applause from participants, many of whom are Jewish. The Washington Institute, an independent think tank widely seen as being pro-Israel, was founded by Jewish donors who are now on the institute’s board. So don’t worry Foxy…. the checks will continue to come…. your job is secure for the next few years. That’s all that really matters to you, right? Here’s the joke on camera….. you be the judge if it is cause for alarm….. or ‘Much Ado About NOTHING’. We constantly hear of the Nakba and what it means to the people of Palestine. The following will bring it closer to home as we describe the impact it has had on just one family…. the Sabbah family. Haitham Sabbah is a fellow blogger, one that I proudly refer to as my brother. 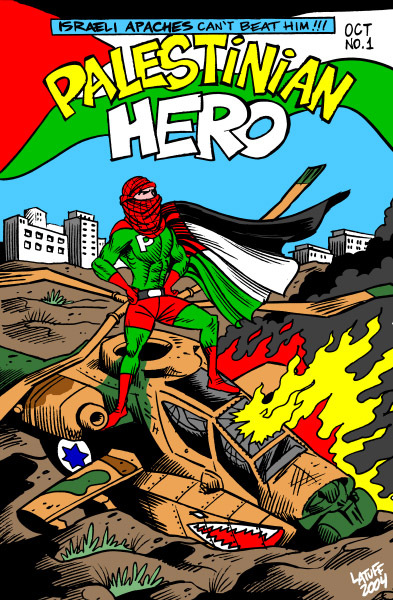 He is a Palestinian but is not allowed to live here….. he’s not even allowed to visit. I have to chuckle to myself every time I think of Haitham, in Hebrew his family name means Grandfather. Although he is 25 years younger than myself I think of him as the Grandfather of the Palestinian Blogesphere as he is the one with the most wisdom and personal experiences in the struggle. He is always there to offer his advice and guidance, without which our message would never reach the number of people it does on a daily basis. We are all eternally grateful to him for his dedication to the cause. The following, from his own Blog is a bit about himself…. 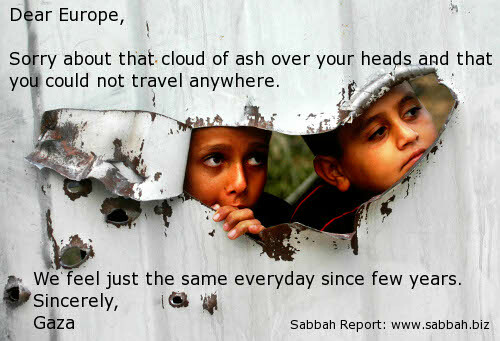 Haitham Sabbah is a Palestinian activist and blogger. He was born in exile in Kuwait on 2nd April 1969. The last time he was allowed to visit his homeland, Occupied Palestine was in 1986. He has never been allowed entry to his homeland since then. He has lived in many countries throughout the Arab world including Jordan, UAE and currently resides in Bahrain. He graduated in 1990 from Birla Institute of Technology – India with a degree in Engineering, Electronics and Communication. He is now employed in the capacity of senior manager at Zain Bahrain – part of a leading global telecommunication company – and is a professional blogger during his personal time. Haitham is one of the founders of the blogosphere in the Middle East and he continues to be one of the most famous bloggers there, as well as having a very large global readership. He is a well known online activist and his writing focuses on Israel’s occupation of Palestine, War, Human Rights, Culture and Religious issues in the Middle East. He integrates into the sites and blogs he manages the innovations the medium allows as well as maintaining its essential character as a space of exchange of information and community. 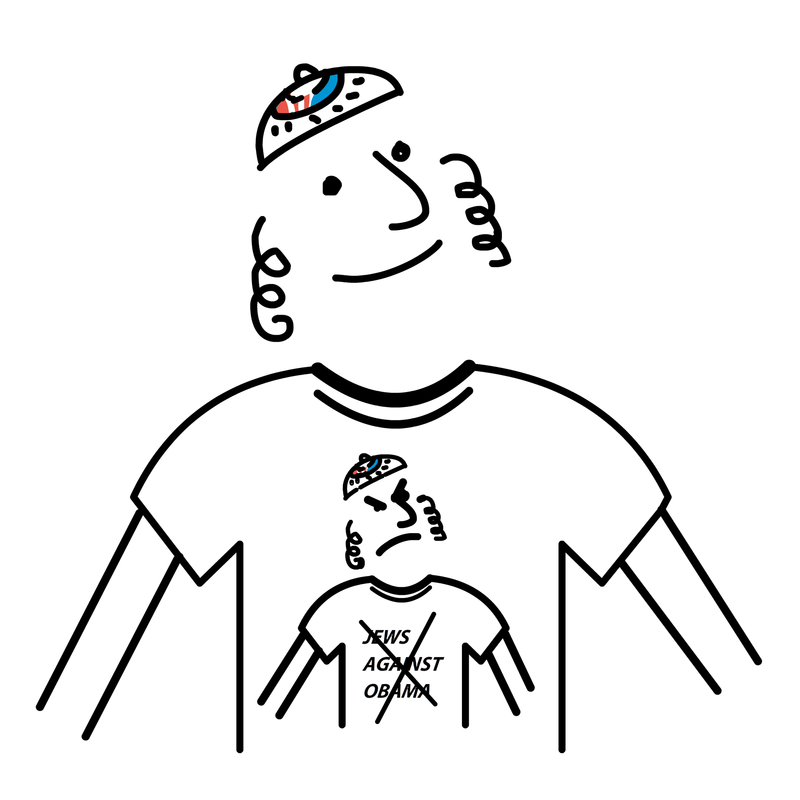 He has participated in several conferences and workshops related to blogging and activism in the Middle East and his blog has received several awards over its years of existence (2000 – present). He has also participated in many blogging and Web 2.0 projects, some of which are well known references today, such as Palestine Blogs Aggregator, and Global Voices Online. He is also a co-founder of Palestine Think Tank, which, like all of his sites, is primarily in English, but also includes material in Arabic. The main reason behind my blogging is to unleash the truth hidden by the main stream media about the Middle East and how it is presented to the world online, TV and newspaper. 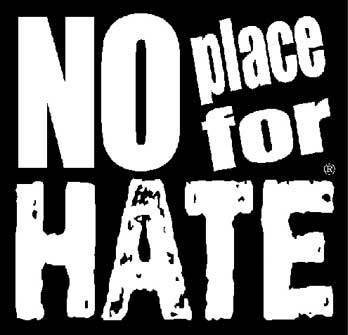 I find the international media in general to be biased and censored and does not reflect the truth about Arab nation culture, religion and politics. Another reason (which is related to the first) is the weak media of the Arab world, direct towards non-Arab and non-Muslims. I blog because I want to correct the wrong perception about my nation and to present the facts which are hidden (by design) from being presented to West, specially when it comes to Israeli occupation of Palestine and the truth about what is terrorism and what is resistance. ‘Born in exile’….. can you even imagine what that means? 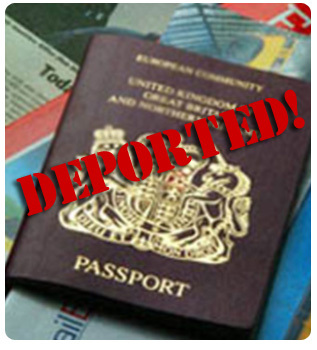 ‘Not being allowed to visit your Homeland’ ….. can you imagine what that means? And WHY? Did he commit a crime?? Did his parents??? NO! His (their) ‘crime’ is the fact that they are Palestinian. They were among the first victims of the ongoing ethnic cleansing of the state of Israel. BUT…. it doesn’t end with Haitham. Last week a close relative of his was the first Palestinian that was deported from the West Bank to Gaza under the new military order. A young man from the same town, guilty of the same crime, HE IS A PALESTINIAN. You can read about this by clicking HERE. AND …. it won’t end with Ahmed unless YOU do something about it. Of all the ‘laws’ that have been passed by the zionist entity since 1948, this new military order is one of the most unjust. It not only legalises ethnic cleansing, it officially puts Israel on the road to fascism. This MUST NOT be tolerated by the rest of the world. We are talking about the lives of innocent people, NOT TERRORISTS. We are talking about people with families, with children, with livelihoods. We are talking about ordinary people living in daily terror. THIS MUST END NOW … and only YOU can end it…. Israel won’t do it on its own. Don’t wait until they come for you….. PROTEST NOW… write to every Israeli Embassy throughout the world DEMANDING Freedom for the Palestinian people and an end to the unjust military order. Details of the order can be read HERE. Contact information for Israeli Missions abroad can be found HERE. Things are really getting out of hand in the occupied territories and our reports may have to become more frequent to keep up with the rapidly evolving situation. We must write to let you know what is going on and ask you to take urgent actions on all fronts (media, politicians, on the ground etc). On the last day of the conference in Bil’in, the Israeli army was particularly violent against the demonstrators injuring Palestinians and Internationals. The most critical injury was to Imad Rizka, a Palestinian from Jaffa inside the Green line (see including picture of Imad). And here is the ISM story on what happened in Beit Jala. ACTION ITEM (before listing more videos and inspiring stories): We have acts of popular resistance in Al-Walaja and Beit Jala planned this Sunday. Email me if you want more details on times etc. Bilin-inspired Gaza protests against the “buffer zone” that now eats 20% of Gaza and is a no-man’s land according to the Israeli occupation authorities. around Al-Walaja village of Bethlehem and destroying more of Mitri’s land. internationals were injured and several detained. Photos are at. peace (which can only be based on justice). on its enablers abroad and on its local Palestinian enablers. and I will continue to be that with every bone in my body..
….and fall flat on your faces! Just how long do the zionists think their state will be supported financially and otherwise if they continue spouting out crap like what is seen in the following video? Just how stupid is America to continue their blind support of a state that obviously hates them? Also look at the other videos linked at the right hand side….. you must know who your enemies are. Click HERE to see a response to the above lies by Khalid Amayreh….. and HERE to see the zionist response to that. The rightwing settlers, who staged the march on Sunday, want Palestians removed from the area and their homes pulled down. 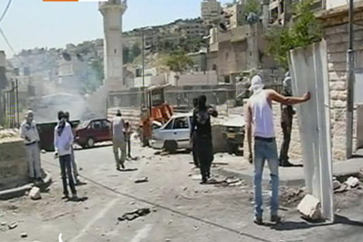 Al Jazeera’s Jacky Rowland in Silwan said the demonstration was “extremely small” and that it was “difficult to measure the size of the impact”. “The fact that this march took place has been seen as extremely provocative; a highly aggressive gesture on the part of the settlers – people really hell-bent on driving Palestinians from their land,” she said. The settlers were hoping to walk for several hundred metres but police “seems to have circumscribed their march fairly tightly”, our correspondent said. The march, led by Baruch Marzel and Itamar-Gvir, comes as Israel prepares to declare the beginning of US-mediated indirect talks with the Palestians. It was originally scheduled for March but was delayed by the police until after the Jewish Passover. Israel officials involved in efforts to renew the peace process have been quoted by Israel’s Haaretz daily as saying that proximity talks between Israel and Palestinians will start no later than mid-May. George Mitchell, the US envoy to the Middle East, told Netanyahu in Jerusalem on Friday that Washington was committed to Israel’s security and wanted a peace settlement that would give the Palestinians a state. “That has been American policy. That is American policy. That will be American policy,” Mitchell said. Last March, Israel announced it would construct 1,600 housing units in the Ramat Shlomo neighbourhood of East Jerusalem, sparking outrage and embarrassing Joe Biden, the US vice-president, who was on a visit to try to kickstart indirect talks. “Since you, Mr President and you, the members of the American administration, believe in this, it is your duty to call for the steps in order to reach the solution and impose the solution – impose it,” he said. Jerusalem – Ma’an – At least five Palestinians were reportedly injured by rubber bullets, including a paramedic, as Israel riot forces attempted to disperse demonstrators in Silwan in East Jerusalem on Sunday. Dozens of Palestinian protesters closed off the entrance to the Al-Bustan neighborhood, the site of discord, hurling stones and setting fire to tires as Israeli police attempted to disperse the gathering, Ma’an’s correspondent reported. Israeli police, Ma’an’s reporter said, removed a number of far-right Israeli protesters from the center of the Silwan neighborhood to the main entrances as they were confronted by Palestinian protesters who raised flags, banging metal pans and objects together. Some 50 activists, headed by extreme rightists Itamar Ben Gvir and Baruch Marzel, marched from the Old City to the center of Silwan, protesting what they termed “illegal construction” in the area, the Israeli daily Haaretz reported. The construction they referred to is the building of Palestinian homes without city permits. “We’ve proven to Netanyahu, Obama and Mitchell that we’re the bosses in Jerusalem,” said Ben Gvir during the march, the daily said. Discord broke out in the Al-Bustan neighborhood in Silwan early on Sunday between Palestinian residents and Israeli police near a protest tent erected ahead of a far-right Israeli rally in the area. Ma’an’s correspondent said Palestinian men pelted Israeli forces with stones, who responded by deploying riot dispersal means, which often includes rubber bullets, tear-gas and stun grenades. Palestinians were said to have called on residents in Silwan to gather near the tent in order to block a “provocative” rally by Israeli religious extremists due on Sunday. Fatah’s Jerusalem official Hatem Abdul Qader was reportedly detained at the entrance to Wadi Hilwa en route to Silwan by Israeli police. Rosenfeld said he would look into the report. Meanwhile, residents in Silwan said hundreds of border guards, officers and riot police, as well as intelligence agents deployed at the neighborhood’s entrance, ahead of the march. Israel’s attorney general rejected Israeli Prime Minister Benjamin Netanyahu’s request to delay the Silwan rally. Early Sunday, locals said five Silwan residents were detained after homes were searched, one of whom was identified as Mousa Baydoun.